Custom LCD modules allow you to eliminate any unnecessary components that may be present in a standard LCD module. It is challenging to perfectly integrate an LCD module into your end product and be fully optimized without some level LCD module customization. 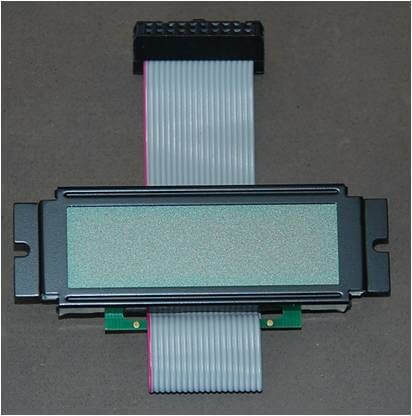 This includes the ideal LCD module construction, connector type, cable lengths, PCB shape and layout, etc. PDI’s custom LCD modules allow PDI to achieve additional product integration by including additional components on our custom LCD modules which lead to eliminating intermediate PCB’s, streamlining assembly, and incorporating additional LED’s, and buttons,etc. All of the above factors come into effect in making custom LCD modules the most cost effective choice for your end product. In addition to creating custom LCD modules for new product applications, our engineers are also able to work with a product currently in production. We look at what your current supplier is producing and provide a better solution for your LCD module. We call this our CrossMatch system. Our competitive advantage is to evaluate your current product specs and end goals, and then provide a custom LCD module that meets all of the current product needs while addressing the 5 issues with the current LCD module source.